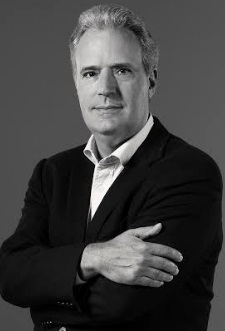 Bio: Luiz Lara is the Chairman of TBWA\Brazil since 2011. TBWA\ is a top-ten ranked global advertising collective that holds Disruption® at its core to develop business-changing ideas for brands. Luiz began his career at Almap/BBDO, where he was a partner of Almap Promoções and led a number of promotional accounts for clients such as Volkswagen, PepsiCo and Danone. Later, he became marketing director for Paulistur (São Paulo Tourism Authority) and Embratur (Brazilian Tourism Board). In 1992, he founded Lew’Lara (became part of TBWA\ in 2008) with his partner Jacques Lewkowicz and, since then, has always worked on strategic planning. Luiz has developed communications cases for clients including Nokia, TIM, Natura, Nissan, Pedigree, adidas, Banco Real, CPFL, Comgás and Pernambucanas. Although I went to Law School I have always been fascinated by the advertisement world. I have always been keen on keeping track of Brands and the possibility of enhancing their capacity to thrive by means of creativity and a better connection with the consumers. In a digital world you are bombarded with information thus you have more interaction with the Brands. The most significant trend that I strong believe in the Disruption Live that we are applying here at TBWA, putting our Brands with a strong positioning in the conversation with the consumers. If you have a creative approach in every communicationplatform you generate strong bonds with the consumer. The main opportunity is to make use of Disruption in order to impact not only the advertisement but the business of our clients. We are working as a creative consultancy disrupting the positioning, the business, product and services. The main challenge is to create Brand contents, ad campaigns that really connect people and influence the media culture we are living in. It's much more difficult to stand out, to be relevant in a vast sea of media platforms and social networks. Our business relies on great ideas. The main inspiration comes from people. You know ever since you are born you keep looking for a sense of sheltering by your parents, family and friends; then you look for a sense of belonging to be accepted by your colleagues and friends; then a sense of recognition to be regarded as a good person and a good professional. The social networks accelerate this circle. In our business you need to create an impactful way to put our Brands in this conversation. Because more and more we are treating Brands as if they were people. The consumers are choosing Brands not only by based on their rational features but mainly by their purpose and their emotional appeal. What s next for the business in the near future? As I have mentioned above we must work as a creative consultancy using disruption to impact advertisement and the business of our Clients creatively. Besides this we need to be more effective to integrate all the media platforms maximizing our Client's budget and increasing our metrics of ROI. More and more we need to be transparent regarding what we get paid for. I always worry about the purpose of our busines. As an entrepreneur and as a leader of our industry in Brazil I always defend the advertising as a tool of free initiave that allows Brands to grow and connect people. So I was the President of ABAP, Brazilian Association of Advertising Agencies; I'm the Vice President of CENP, the self regulation system of our industry bringing together advertisers, media partners and advertising agencies to establish rules of remuneration that respect the balance among these partners, valuing our professionals and ethics. I always work to train people for our industry. So I'm in the Board of ESPM, the main Advertising University in our country. Your most difficult moment at the business and what did you learn? I had many difficult moments when we lost a big account. I learned that you have to keep calm and carry it on. At these moments you need to preserve your talents, your culture, a good atmosphere and never give up. I always ask myself: has the Brand of our client left a lot more successful and valuable than when they looked for us? Ideal experience for a customer/ client? What really pleases our client is to create campaigns and contents that disrupt their Brands, conveying values and generating good results. Clients love transparency and creativity. I motivate our people showing them that advertising is one of the main creative industries in the world. I will try to highlight that we are an industry that impacts other industries and the popular culture. I always say that the big idea lives in the minds and hearts of our consumers. People like us. Go to life. Leave your office. Talk with people. Visit points of sale. Surf social networks. Ask, ask and ask. You must believe that you can change the life of our Brands. Be curious. Don t take it for granted. Don t take any answer for granted. Celebrate a success but always move on to the next one.